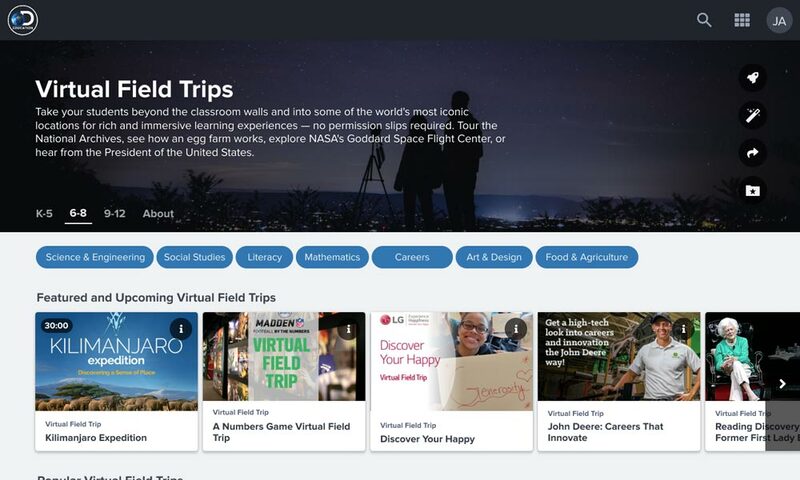 Back-to-school 2019 brings exciting enhancements to our digital curriculum resources. An enhanced user interface helps you use Discovery Education effectively and offers improved navigation to easily take you where you want to go. 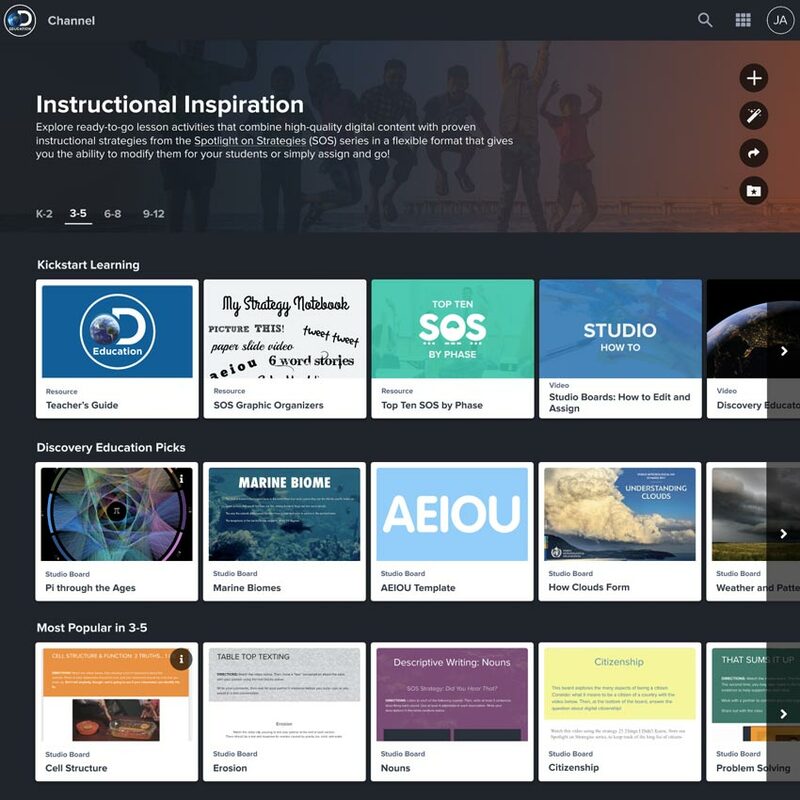 Select curated content collections paired with instructional resources that will best meet your needs for a whole new personalized experience. 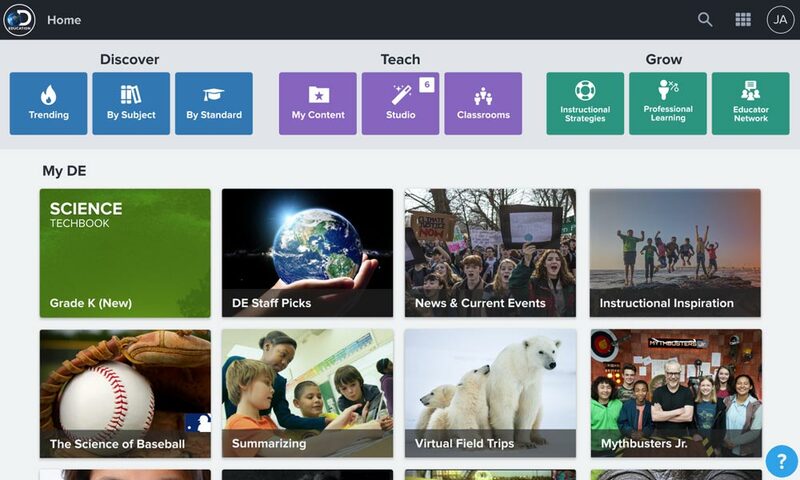 A new creation and collaboration space empowers teachers and students to design, build, and share content in new and creative ways by consolidating existing builder tools and enabling collaboration. See the amazing enhancements that take teaching and learning to the next level. 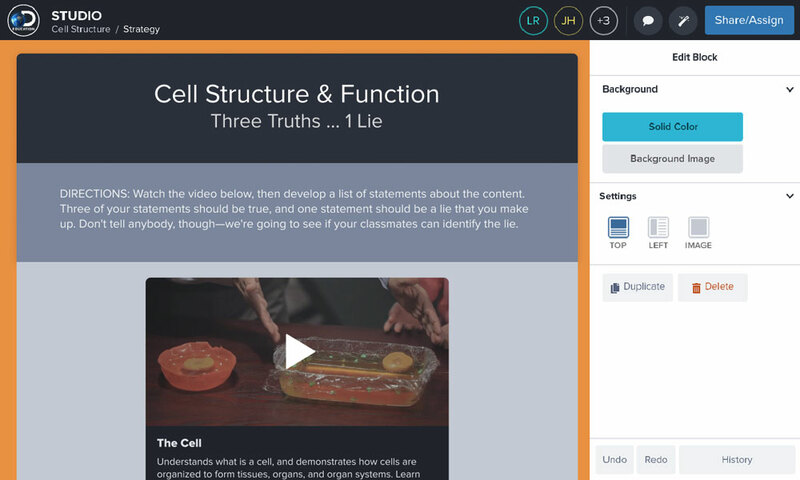 Introducing our Instructional Inspiration content channel, a collection of grab and go lesson activities that combine our content and strategies you love into a flexible format for modification or turnkey assignment.